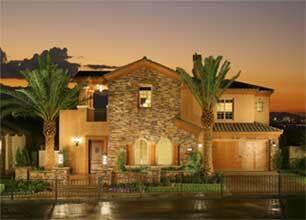 The Gallery Southern Highlands Las Vegas mixed use real estate project is next to the Southern Highlands Casino Resort, a 3,200 room $2 billion resort. The Gallery Southern Highlands real estate will open air mall at the St. Rose Parkway and I-15. 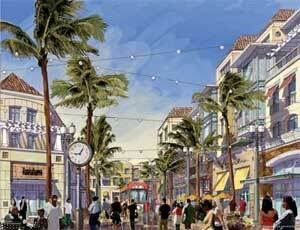 It will include 100 stores within 310,000 square feet of this live, work and play project. The Las Vegas mixed use real estate in Southern Highlands will have a 14 screen theater, four restaurants 100,000 square feet of office space and 170 condos. The average home size will be approximately 1,200 square feet. 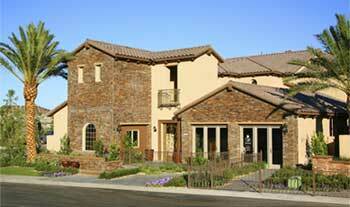 The Southern Highlands condos will be above retail of the stone paved, pedestrian main street.